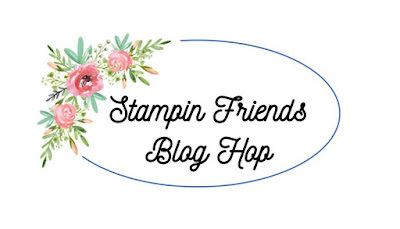 Today I'm playing along with the Stampin' Friends Blog Hop Crew & this is my first hop with this team, so that's exciting! The theme today is love & what is more loving than a newly wed couple announcing their first baby is on the way! Congratulations to my beautiful team member Bec & her husband Dave on the impending birth of their baby! I have used a bunch of the freebies you can get in the Sale-A-Bration catalog! Who doesn't love a good freebie! I've used the Tutti Fruitti Card & Envelope set (this one is in Pool Party & comes with the cool polka dot print! 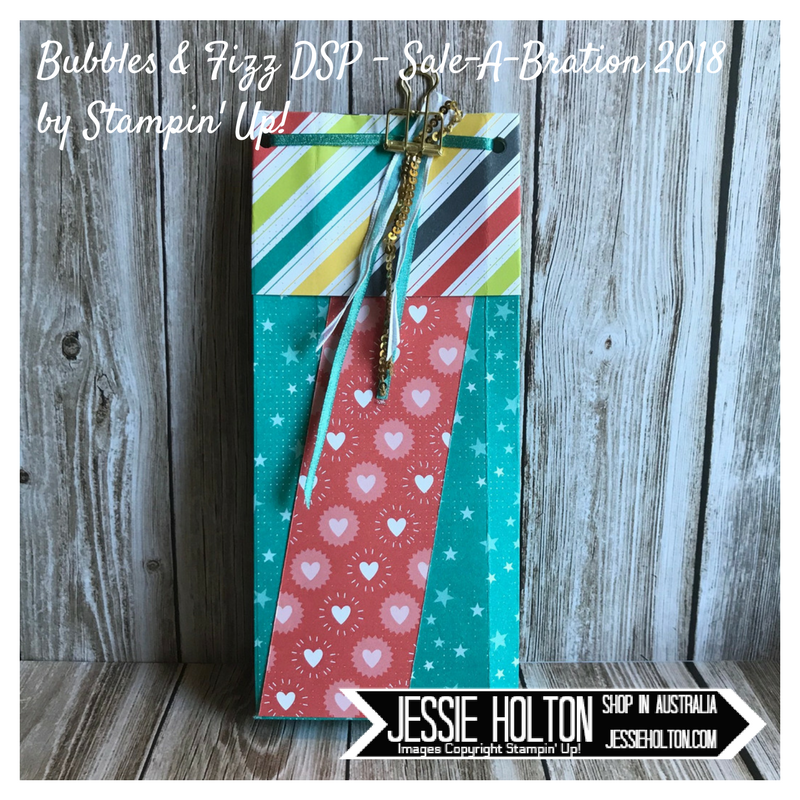 ), the Bubbles & Fizz Designer Series Paper (DSP) & the Shimmer Ribbon in Bermuda Bay! How amazing is it that I got all these goodies for FREE?! 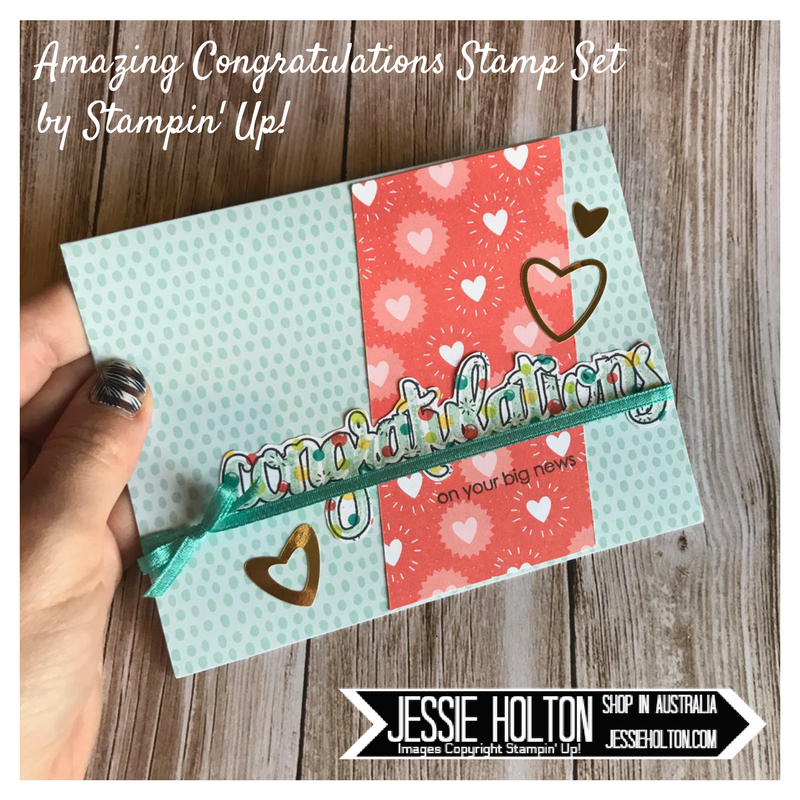 I have also used the Amazing Congratulations stamp set, outline & smaller sentiment stamped in Momento Black & the inside stamped in Pool Party. 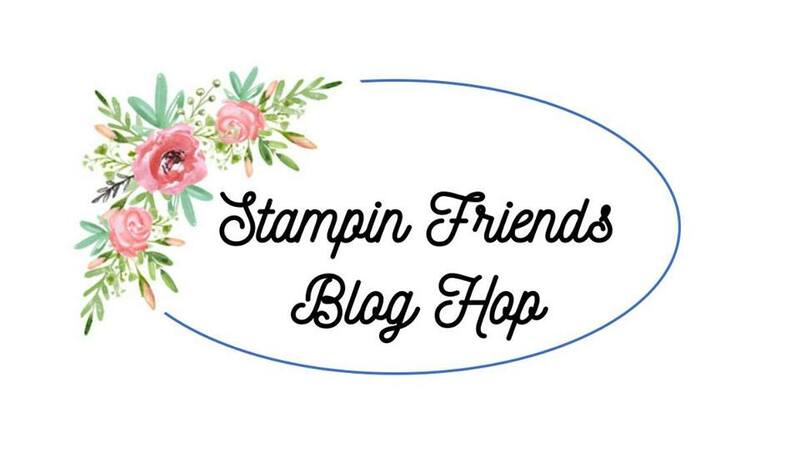 There are actually two stamps to do the inside letters, so you can choose to do the letters in alternating colours. I have stamped this onto the other side of the heart print from the Bubbles & Fizz DSP & then fussy cut it out. The gold hearts are from the Love Today Planner sticker sheets. 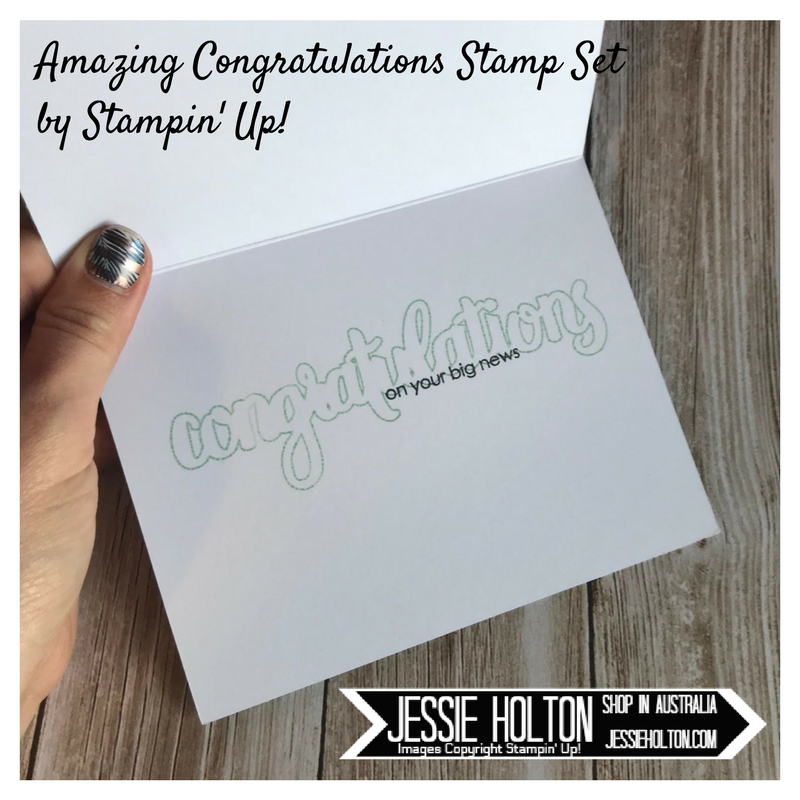 For the inside of the card, I did some simple stamping using the outline in Pool Party & the smaller sentiment in Mometo Black. And I also made a matching bag with the Gift Bag Punch Board (with my trademark scoring in the wrong place haha I am actually getting better at these! ), more of the Bubbles & Fizz DSP, Bermuda Bay Shimmer Ribbon, White Organza Ribbon & Gold Mini Sequin Trim, plus a Gold Binder Clip for good luck. These are a few of the products I have used in today's projects. Click on the image to go to my online shop. Remember to use my Monthly Hostess Code to go in my monthly draw & shop in $90 increments to get spoiled with freebies!